Are you an employer looking to provide the benefit of health and fitness to your employees? 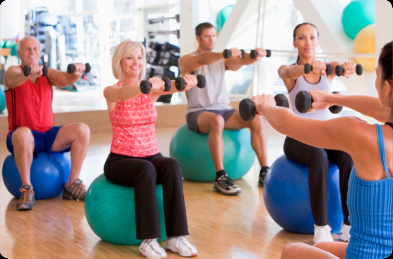 We offer on-site fitness sessions with certified fitness instructors. With over 11 years experience and more than 70 corporate clients, Shape Up Studio will put together a program to meet your corporate needs. Flexible shifts (morning, afternoon or evening). No on-site fitness facility required! Call Shape Up Studio for more information.